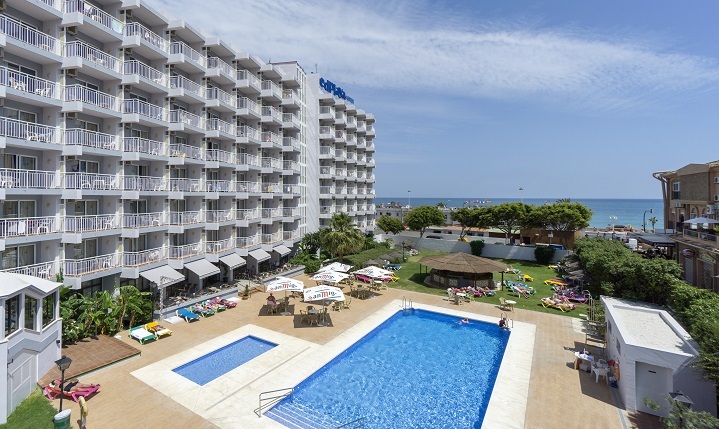 Torremolinos Benalmadena- everything you need for a holiday in Andalucia! We offer 4 hotels with great locations. Download MedPlaya FREE GUIDE TO SPAIN'S COASTS HERE. The Costa del Sol is considered by many to be the most complete tourist centre in Europe. One-hundred and fifty kilometres of beaches and coves bringing a majestic end to Andalusia before it meets the warm Mediterranean. 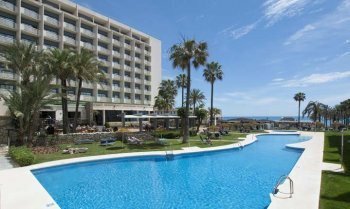 Med Playa has four hotels on the Costa del Sol, the Hotel Bali three stars and the Hotel Balmoral, of 2 stars and the Hotel Riviera in Benalmádena Costa and our most famous hotel, the Pez Espada in Torremolinos. In Torremolinos there are ample facilities which allow you to participate in many different cultural and sporting activities. 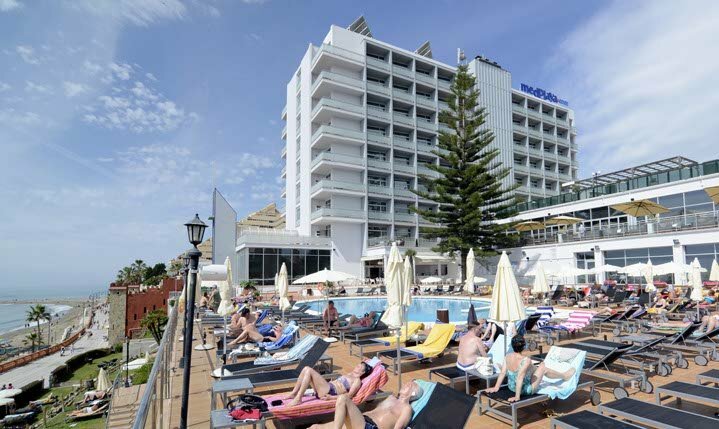 Torremolinos continues to be a point of reference for tourists from all over the world. The Pez Espada, which opened in 1959, was the very first luxury hotel to open on the Costa del Sol. Many international stars such as Frank Sinatra came to love Spain whilst staying at the Pez Espada and the hotel marked the beginning of a golden period for Spanish tourism which, modernising with the times, has continued to this very day. In Benalmadena you will find enough activities to enjoy action packed days whilst partaking of the nature, culture and special atmosphere of this Mediterranean destination. The Costa del Sol is golf crazy. Fifty-one golf courses designed by masters of the game such as Severiano Ballesteros have made these immaculate and spectacular courses some of the greatest in Europe. The Costa del Sol and Andalusia are the ideal that the imagination conjures up when thinking of Spain: whitewashed villages, Moorish architecture, flamenco dancing, bulls, thoroughbred stallions, boiling summers and warm winters. Culturally rich, the Costa del Sol is scattered with ancient ruins and magnificent historic buildings from the many civilizations that have shaped it. Spain averages almost one universally acknowledged artistic genius per Coast and the Costa del Sol is no exception. Pablo Picasso was born in Malaga in 1895 and the Picasso Museum houses an important collection of his works there. But as well as culture there is plenty of pure unadulterated fun. Theme parks, aquariums and zoos, a crocodile park, thoroughbred Andalusia horse shows and funfairs are just a part of the varied family entertainment available. For the more serious practice of sports there are eleven marinas and the most modern facilities for high level basketball, tennis, horse riding, swimming, and athletics, among others.